Got questions about Apple TV? We've got answers. If you don’t like tvOS’s white background, you can paint in black. Head over to the Settings app and navigate to the Appearance menu. From there you’ll be able to toggle between light and dark themes. 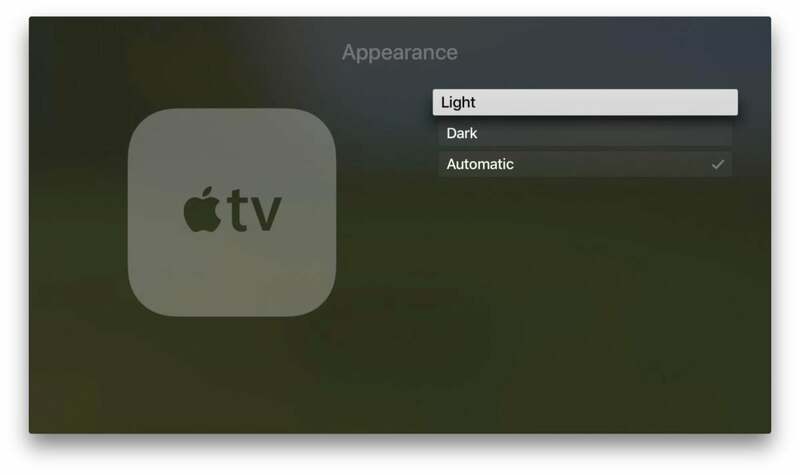 In tvOS 11, there is also an Automatic option that will switch to a dark mode when the sun goes down. If you don’t like the order of apps on your home screen, just move them around. Navigate to the app you want to move and press and hold the touch pad on the Siri Remote, just like you would with your finger on your iPhone screen. The app will start to wiggle on your home screen, and you’ll be able to drag ro reposition it. Follow the same process as you did for moving the position of your apps, except this time drag an icon on top of another one to put them in a folder together. (You can also press the Play/Pause button while in wiggle mode to bring up the contextual menu. Then select New folder.) 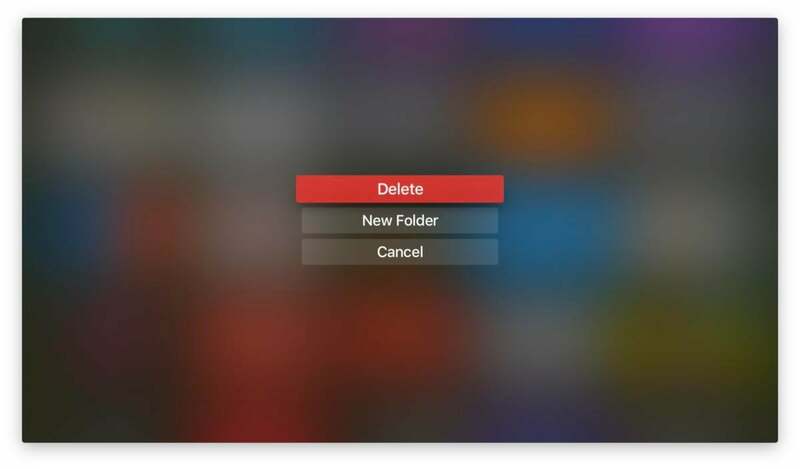 To remove apps from a folder, open the folder and drag any app to the outside of the folder on the screen. Cleaning up your Apple TV home screen is as easy as it is on the iPhone. Once you’ve activated the wiggle mode as illustrated above, press the play/pause button to bring up the app menu. Then navigate to Delete and click the trackpad. Apple TV is the only non-Mac device to support multiple users. That means if you and your partner have different movies in your libraries, you can easily switch between them. Head over to Settings and scroll down to Accounts, and select iTunes and App Store. Click Add new Apple ID, and enter your user name and password when prompted. Now, the next time you open the Accounts menu, both accounts will be available. 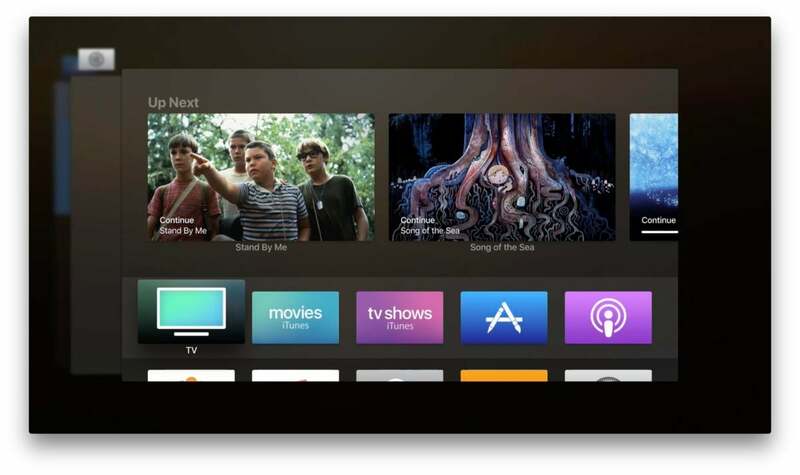 You can manage your streaming subscriptions right on your Apple TV. 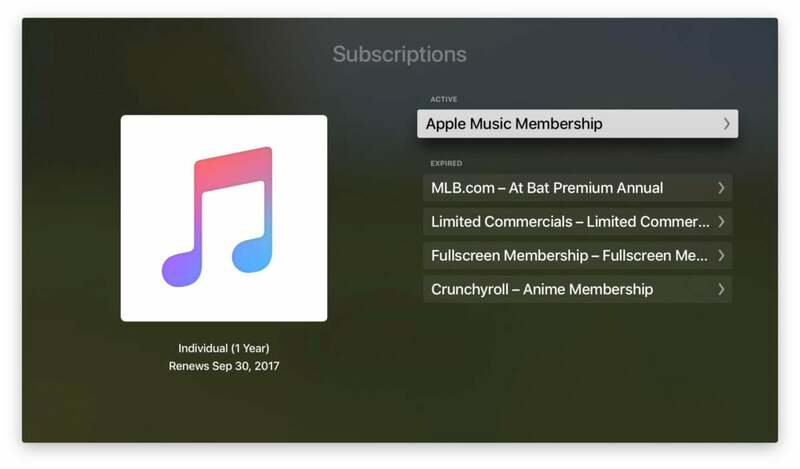 If you need to change or cancel one of your streaming subscription plans bought through iTunes, head over to the Settings app, then select Accounts, and scroll down to Manage Subscriptions. After you enter your password, you’ll see a list of any services you’re subscribed to (as well as any expired subscriptions). Select one to modify or cancel it. There’s an app switcher built into tvOS just like in iOS. 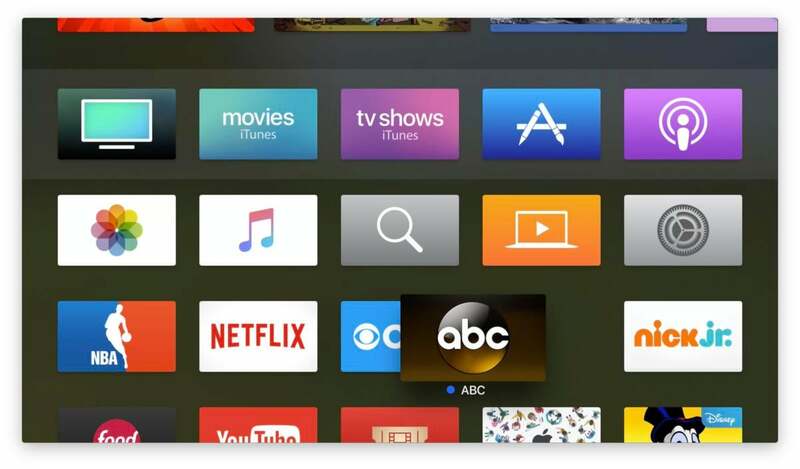 Just like the iPhone and iPad, Apple TV includes an easy way to switch to a recently used app. Simply double-click the TV icon on remote when on the home screen to bring up the app switcher. Then, swipe over to the app you want and click the remote. 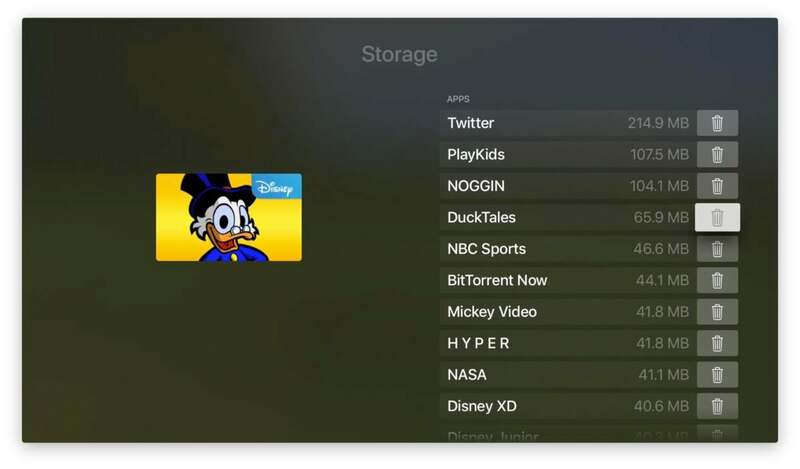 If your Apple TV starts filling up with too many apps, you can easily free up space. Apple brought back internal storage with the 4th-gen Apple TV, so it might require a little spring cleaning every now and again. Go to the Settings app, select General, and navigate to Manage Storage. Inside, you’ll see a screen similar to the one on your iOS devices, showing the apps that are installed and how much space they are using. To delete any storage hoggers, swipe over to the trash can icon and press the touch pad. You can adjust the tracking on your Siri Remote if it’s not to your liking. If you’re having a hard time controlling your remote, you can change the sensitivity of the touch pad just like on your MacBook. 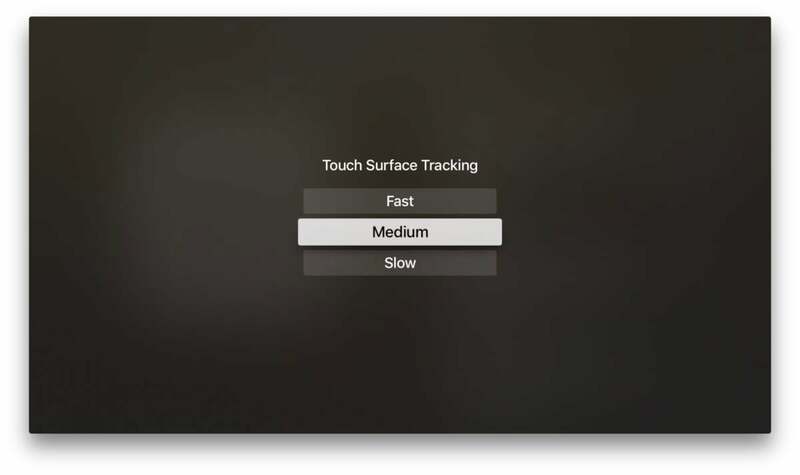 Head over to Settings, then click Remotes and Devices, and then Touch Surface Tracking. Inside you can select the option that’s right for you: Slow, Medium, or Fast. Apple’s Siri remote is designed to be super simple, but sometimes it can be a little too simple. For those times, there’s the Remote app. Available as a free download in the App Store, Remote on your iPhone lets you do everything you can do on the Siri Remote but also adds a keyboard, making password entry way easier. Apple TV can support several Bluetooth devices simultaneously, including the Siri Remote, a Bluetooth keyboard, headphones, speakers, and up to four Made for iOS Bluetooth controllers. To pair up a Bluetooth device with your Apple TV, put it in pairing mode and open the Settings app. Scroll down to Remotes and Devices, and select Bluetooth. Once your device appears, select it from the list and enter the pairing passkey (if necessary). To unpair a Bluetooth device, head over to the same menu as you did to set up your device (Settings>Remotes and Devices>Bluetooth), click the device you’d like to unpair, and select Forget Device.